Happy Republic Day to all Indians there :) This is a national festival and we Indians celebrate it with great zeal and enthusiasm. On 26 january 1950 Constitution of India came into force and since then each year this day is memorised with great honour. We are celebrating 66th Republic Day and to make this occasion more special Mr.Barack Obama, U.S. President glorified the event as Chief Guest. 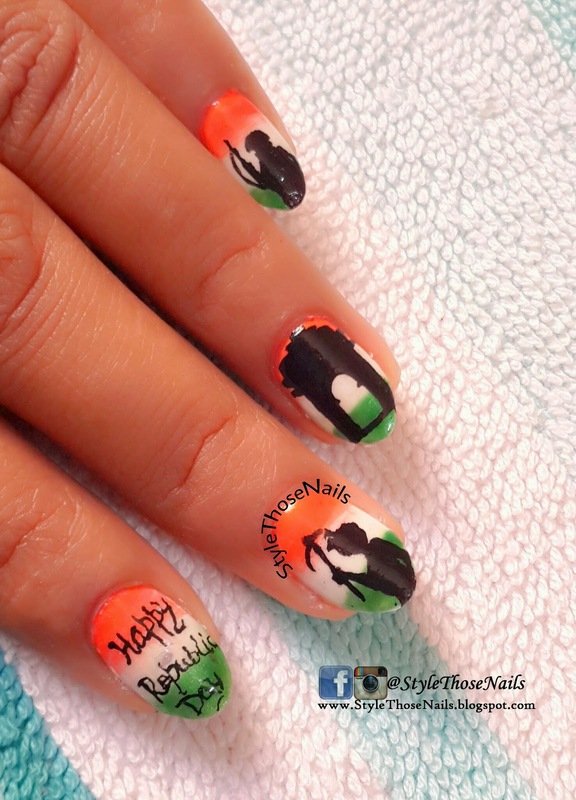 Obviously I had to decorate my nails with this theme so here I present my nailart on Indian Republic Day. I first did a tricolor background depicting the three colours of Indian Flag and then made silhouettes of soldier, farmer and India Gate. 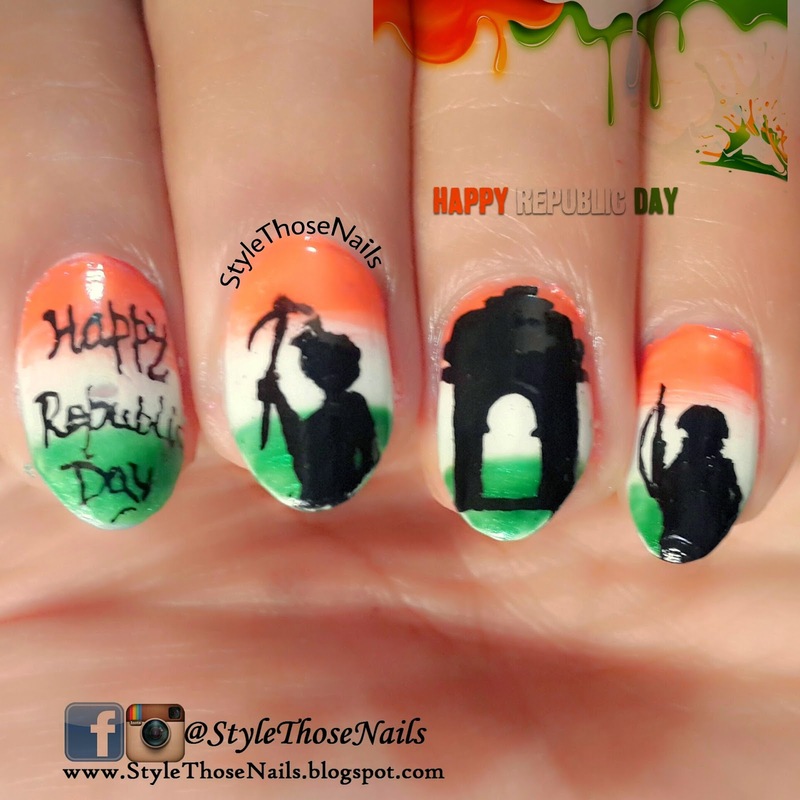 You can see the greeting message Happy Republic Day on my index too :) Though it's a simple mani but I tried to incorporate all elements of republic day ! I hope you like this nailart. I am eagerly waiting to read your comments. Also leave your blog link in comment luv so I can check you back.